The National Sports Day in India is celebrated on 29th August every year. This day marks the birthday of Major Dhyan Chand Singh, the Hockey player, who won gold medals in Olympics for India in the years 1928, 1932 and 1936. Known for his sublime goal-scoring laurels and extraordinary ball control, Dhyan Chand is regarded as the greatest field hockey player of all time. Putting his stamp on international hockey arena, and having served his country to reach its pinnacles of glory multiple times, he became a legendary figure in the Indian and world hockey. The most noted memorials for him is the Major Dhyan Chand Award, the highest award for lifetime achievement in sports and games in India , and the National Sport Day celebrations on his birthday. 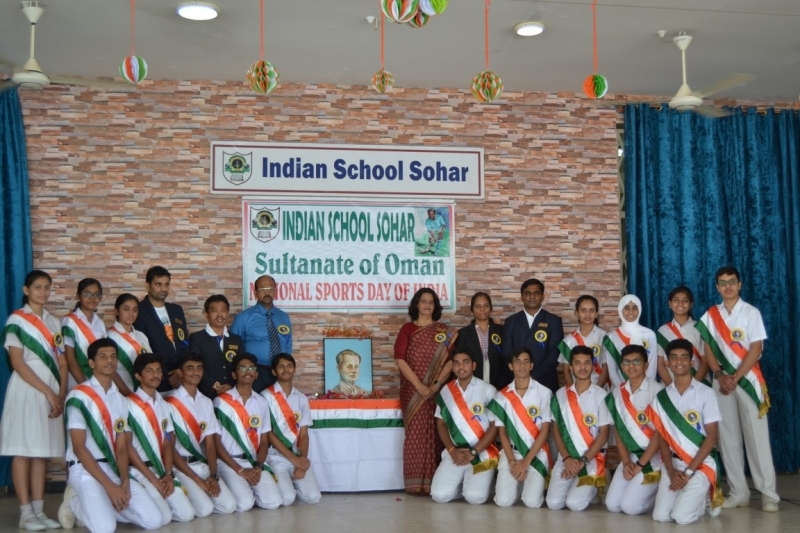 To commemorate the National Sports Day at Indian School Sohar a special assembly was conducted by the Physical Education students from Classes X to XII. 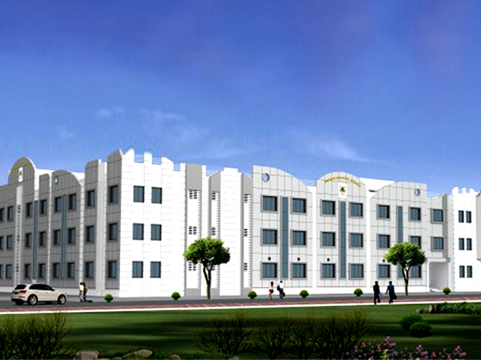 The assembly unfolded in stages. It began with a prayer song. The Principal, Ms. Sanchita Verma and the Vice-Principal, Dr. Vinu Kumar were presented with badges, which were put on them by the Physical Education Department. The thought, “You have to learn the rules of the game. And then you have to play better than anyone else", was presented to ponder and work upon. 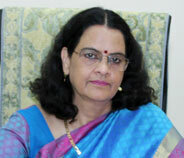 A Speech on 'National Sports Day' was delivered to promote sportsmanship spirit among the students. Various questions related to sports were asked during the Quiz to test the knowledge of students. Students with the right answers were rewarded with gifts. The grand assembly ended with the National Anthem. The Physical Education students of Class XI conducted exciting games like Flip the Bottle, Aim the Coin, Shuttlecock Trick, etc. 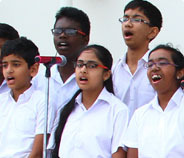 in which students of all the classes participated with great enthusiasm and zeal and won prizes. Various fun filled and interesting games were conducted for the teachers during the recess. Teachers participated in many games and won awards. Among the games were Tug of war and Volleyball Match, which were played between the teachers and Omani staff of our school. The day ended with Prize Distribution to the winners of Tug of war and Volleyball, and with echos of sportsmanship in the corridors and playground of the school. It was a grand success because of the planning, hard work and innovative ideas of the students and teachers of the Physical Education Department.